Hands down the BEST CUSTOMER SERVICE EVER! (Long post) I called North Park VW when my ignition became stuck 2 days ago. I told the man at the service department that I recall reading about a recall or some type of coverage for it. He said there was no recall & stayed silent. I asked if there were known issues regarding my model’s ignition. He responded with, “not that I know of”, then another awkward silence. I finally said that I would typically thank him for his help, but he was giving me nothing but silence. He said there was “no way” for him to answer me unless I took my car there. 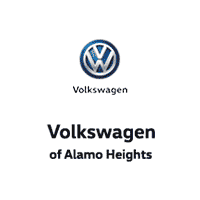 I hung up & called VW of Alamo Heights. Rodney answered & I explained the same issue with the same question. He *immediately* asked for my VIN because he wanted to check for any extended warranty. He discovered the ignition was covered, & we talked through the steps of what to expect when I get my car there, etc. Now THAT is the difference between a great customer experience & one where the customer is forced to plead for help! Extra awesomeness- My Beetle was ready less than a day later & the courtesy shuttle was timely & friendly. Rodney gained a new customer! Wonderful service and friendly staff! I highly recommend going here for car buying and vehicle maintenance.